A change from moorland walking for 22 ‘short bus’ ramblers and two dogs, led by Michael. Japanese gardens, ornamental lakes, woodland tracks …. and a bit of culture at Lord Byron’s ‘pile’ at Newstead. National Poetry Day – so we need to do our bit. There were 18 ramblers on today’s walk. The route was from the Mam Nick car park on to Mam Tor, Hollins Cross, the Edale Visitors’ Centre (for elevenses), Nether Booth, Jacob’s Ladder (with lunch at the top), Brown Knoll, and Rushup Edge. A distance of 11 miles. Overcast but dry, and windy on the tops. The new paving on Brown Knoll, meant to protect the moorland, offers access in conditions when we would not otherwise be able to cross it. The work of the team who laid it was much admired, especially as they had to lever the stones in place standing on the wet boggy ground. A lovely last day as walks organiser for me. To celebrate the end of the summer programme Basil led 15 ‘long bus’ walkers on a shorter than usual route – but with a lunch at the end. to the White Hart at Calow. 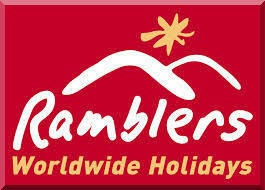 As Ramblers we can join any walk throughout the country – and we often welcome visitors to Derbyshire on our walks. Joyce led a group of ten today (including two from Colchester and two from Sussex) along Curbar Edge and White Edge. All were treated to the fascinating spectacle of the annual deer rut on White Edge. The walk started on time at 9:30, amid much girding of loins from the seven in the group, all looking forward to an 18 mile hike with 3000 feet of ascent. Starting with a climb up to Pretty Wood via Knouchley Farm and on to Back Riley Lane, Eyam then William Hill Road, over Eyam Moor with wonderful views toward Stanage. Then down to Hog Hall and over to Mount Pleasant and Offerton Hall. An ascent to Offerton Moor, crossing to Abney Moor for a well earned lunch. 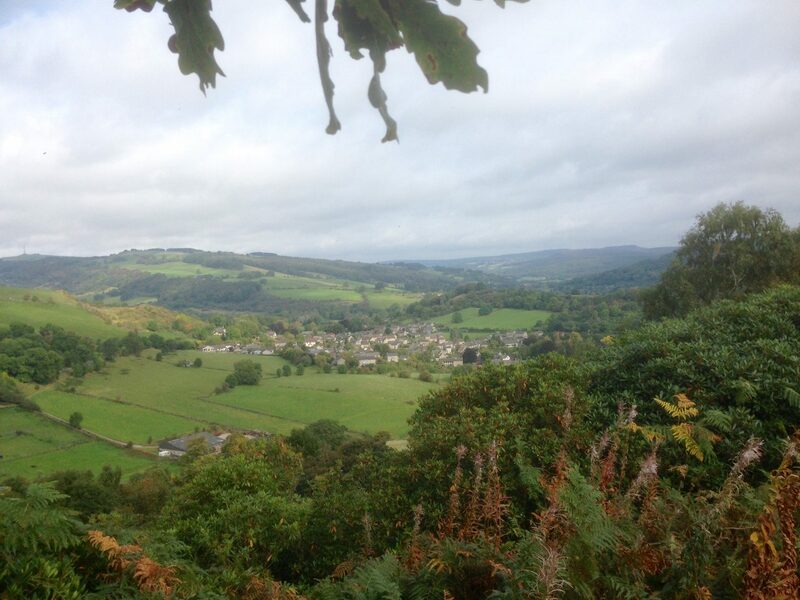 From lunch on to Great Hucklow, Grindlow, Foolow, and Eyam – then down a very steep descent and then a long ascent to Cavendish Mill, Black Harry Lane, and back over Peak Pasture to Calver and our transport. A finish at 4:30, all well and no rain – so 7 hours of dedicated effort and a happy ending. A strong following of 27 for a good Calver circular, led by Barbara and George. The route showed off much of the area’s woodland, passing through Bramley and Bank Woods before turning towards Baslow and up to Curbar. A beeline through Bee Wood to Froggatt and back to Calver crossroads. 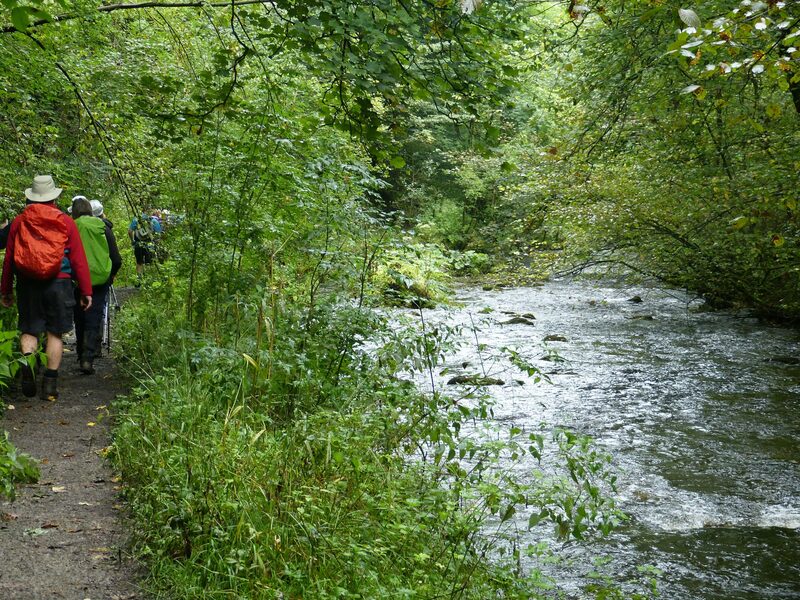 Three visually impaired, together with six guides, enjoyed a five mile walk today – a circular from Cromford Meadows up to the High Peak Trail, with a return via the Cromford Canal. The first walk with the visually impaired in the winter programme is on 21 October from Unstone, via Summerley Hall and Frith Wood. The leaders will be Barbara and Ken, with Mark and Otis. A 9.5 mile local walk for five, led by Basil. A bus to Newbold, and then a route via Dunston, to Sheepbridge, Cobnar Wood, Lees Bridge, Grasscroft Wood, Ouzle Bank, Unstone, and New Whittington. Apart from a few spots of light rain and a bit of a breeze, the weather was better than the forecast. The overnight storm Aileen had largely passed on by the time Kath led a bus circular from Glapwell. A group of nine + two dogs followed a fairly familiar anti-clockwise route via Ault Hucknall, Hardwick Hall, Norwood Lodge, and Rowthorne. Fine weather, except for a few spots of rain while having lunch in a convenient Hardwick barn and unfortunately a heavy hailstone shower ten minutes from the end. 12 + myself set off from Taddington towards the rain cloud over Sough Top before dropping into Chelmorton for a sheltered coffee stop in the churchyard. Skies clearing, we headed across farmland to Churn Hole where a little care and concentration was required to negotiate the short descent to Topley Pike Quarry. The walk continued into Wye Dale alongside the river, traversing the stepping stones in Cheedale, where we stopped at a lovely spot for lunch. After its tricky (but enjoyable) terrain, the sun greeted us and we had an easy amble along the Monsal Trail to Litton where we made a short, steep ascent to Bull Tor. 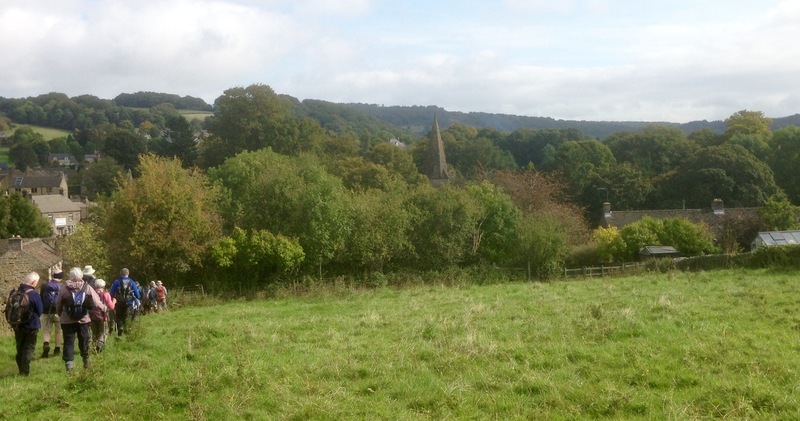 Along High Dale to Priestcliffe and Rock Lodge Farm, we returned to base by way of the church, having done 11 miles. A superb day with great company. A linear walk from A to B across our local area always involves rarely walked footpaths and a new perspective. 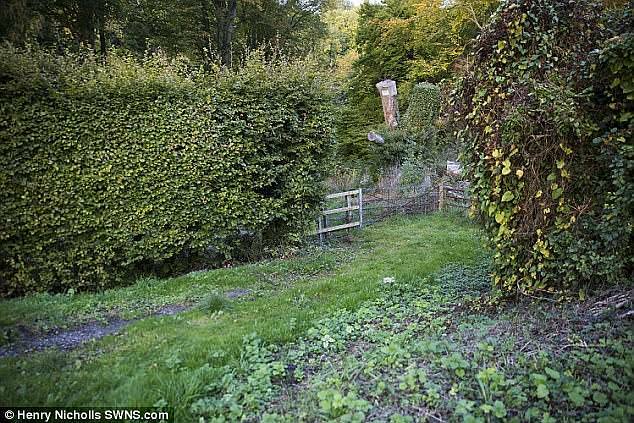 Few people would dream of walking from Bolsover to Unstone but David’s route revealed views of the area that are not often seen. A route via Woodthorpe, Staveley, the Chesterfield Canal, New Whittington, and the Hundall TV masts. All met at the lay-by on the road from Windmill to Bradwell. A good group of 14 from far and wide. 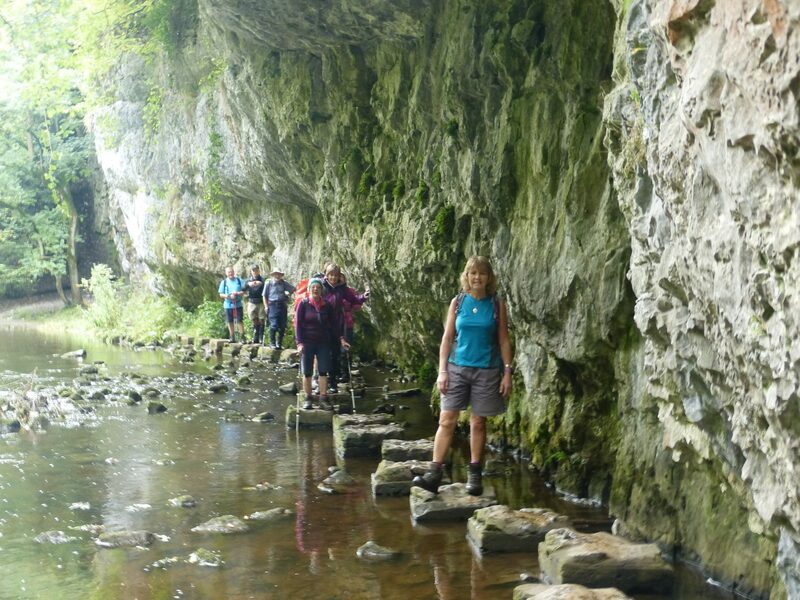 The walk started in good conditions with no rain forecast, heading from Jennings Dale to Hollandtwine Mine on the Limestone Way and then downhill towards Peak Forest and Beelow for refreshments. From there it was onto Damside Farm and a stile with barbed wire which we crossed with great care. Down into Dam Dale, along Hay Dale and Peter Dale, and then up from there to the Limestone Way and Wheston. From there it was onto Little Hucklow and back to the cars. All returned to their transport happy after 17 miles, despite some stile problems. 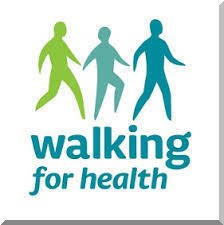 Another ‘summer’ long walk of 18 miles on 23 September.